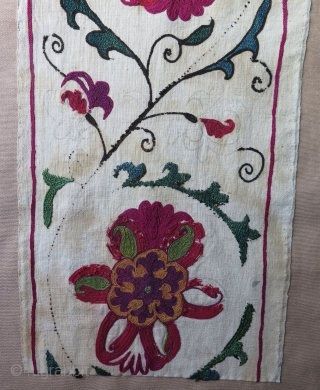 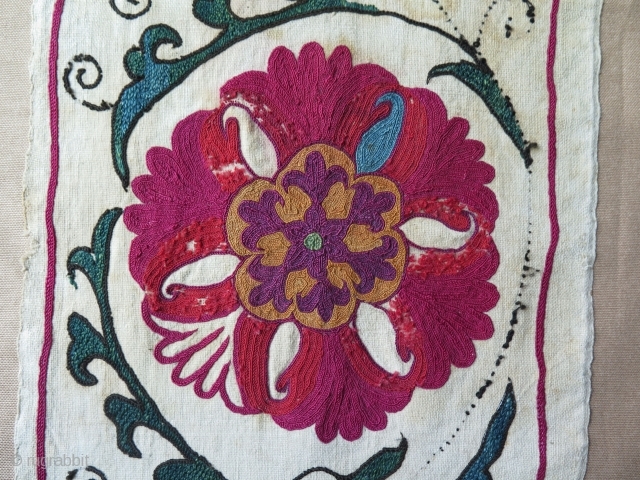 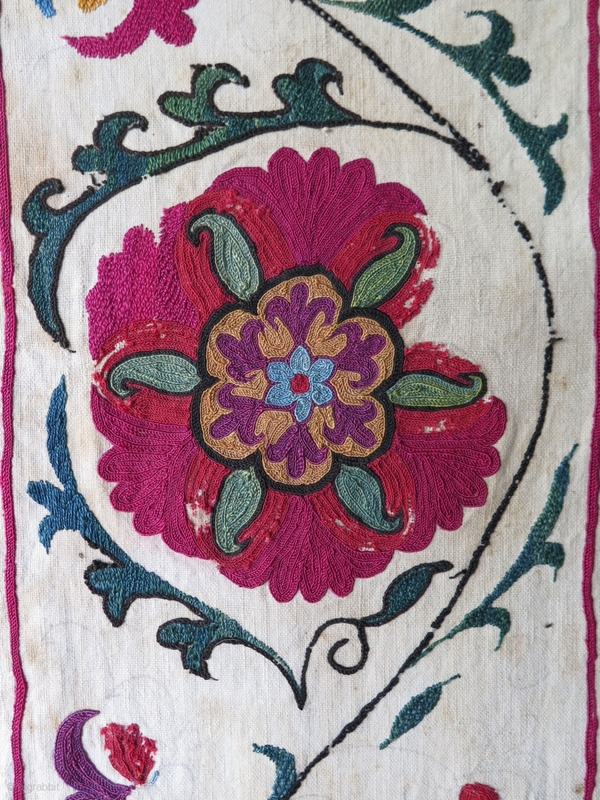 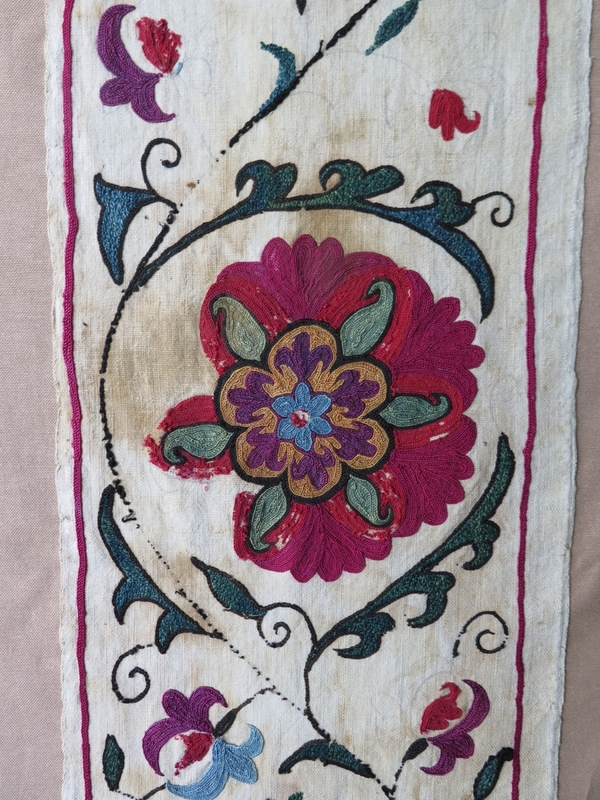 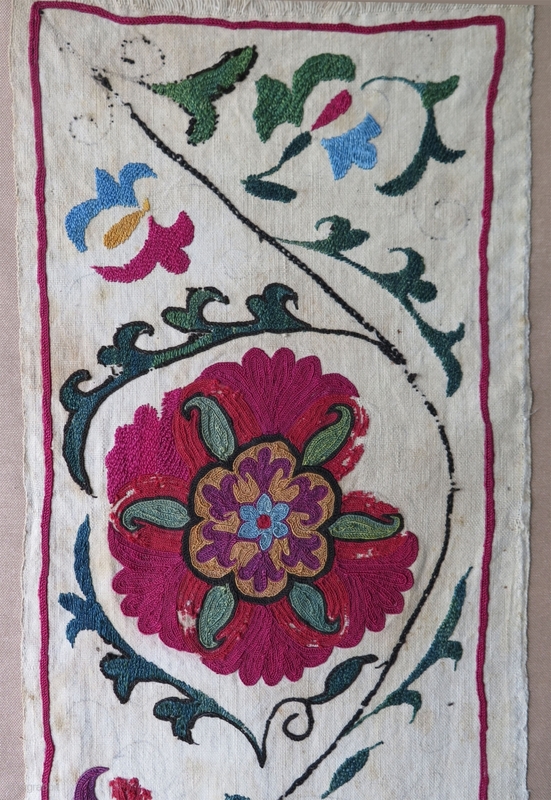 Antique Uzbekistan Suzani fragment from late 19th century. 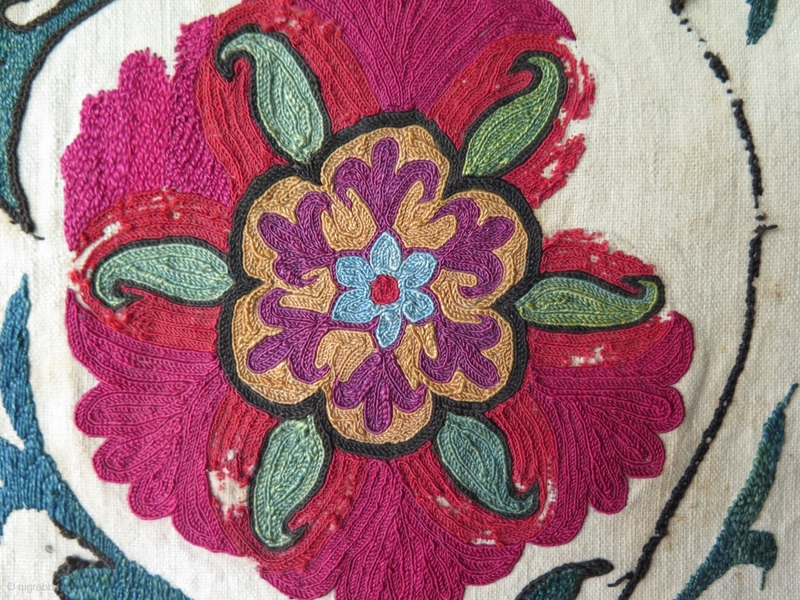 Silk embroidery on cotton. 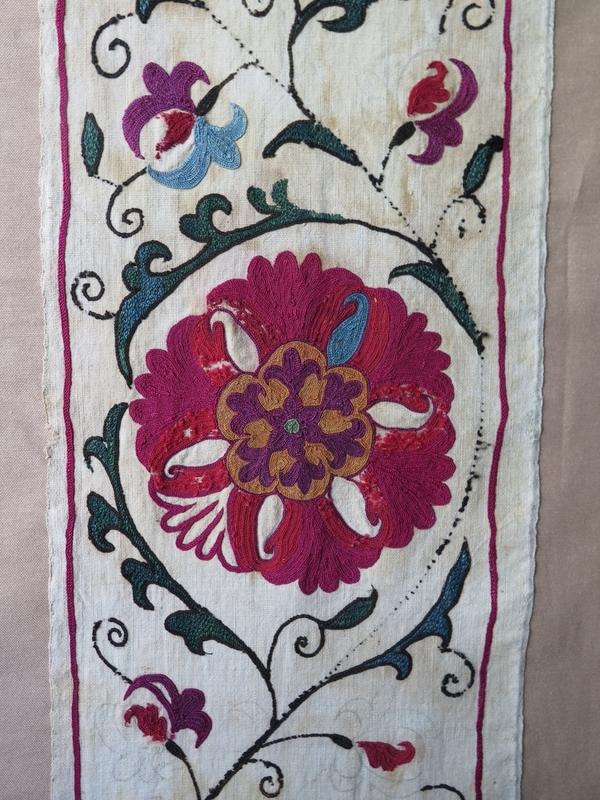 Professionally mounted. Size: 9.8" x 50.6" - 25 cm x 129 cm.